The Moment is Now donates five percent of their profits jointly to two charities – Macmillan Cancer Support and Children 1st. Macmillan’s incredible ambition is to reach and improve the lives of everyone living with cancer – and to inspire millions of others to do the same. So many people’s lives are touched by cancer; 2.5 million people are living with cancer in the UK today. As more people live longer with their cancer, this number is set to grow to 4 million by 2030. Macmillan want to make sure they can provide support to everyone who needs it, to help people affected by cancer feel more in control of their lives. At The Moment is Now, we are inspired by their work. 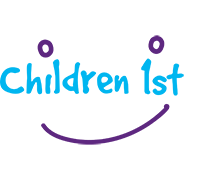 Children 1st is Scotland’s National Children’s Charity. The charity helps Scotland’s families to put children first, with practical advice and with support in difficult times. And when the worst happens, they support survivors of abuse, neglect, and other traumatic events in childhood, helping them to recover. The charity’s aims are to prevent harm and to ensure that every child gets the love and nurture they deserve. Having worked as a volunteer for ParentLine Scotland, Ashley, guest tutor at The Moment is now, is particularly passionate about the work of Children 1st.